will introduce you to the basics of Visualizing. You'll learn what Visualization is, why it works, and how to use it in your life. You should also get yourself signed up for your Free Visualization Starter Kit now, which will help get you started! Creative Visualization is the process of using your imagination in a structured way, with the goal of creating what you want in your life. pictures, sounds and feelings of you getting what you want; Repeat! 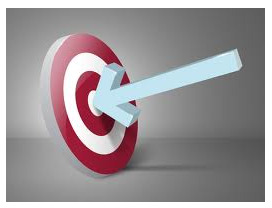 When you continue focussing on your target regularly - adding strong emotion - you will be surprised to see your goals "turn up" in your life - often by unexplainable coincidences, or simply by gradual improvements. The better you get at Visualizing, the faster you'll start creating the life you want. This Practical Guide to Creative Visualization will provide you with the basics, so you can get started right now. Creative Visualization is essentially a technique to help you create what you really want - whether that's more love, peace, fulfilment, self-expression, money... or anything else! On the surface level, it's great to get more of the things you want. No doubt. But Visualization goes deeper than that, much deeper! Basically, effective Visualization involves exploring - and changing - your deepest attitudes to life. This can have a profound effect on you! You can become happier, more relaxed, more focussed, mentally stronger, more peaceful... and a whole lot more... through your practice of Creative Visualization. So, in short, the answer to "why visualize?" is: because you'll get more of what you want, but you'll also feel more positive about life in general. 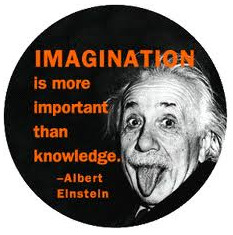 As Albert Einstein wisely understood, "Your imagination is your preview of life's coming attractions". And Creative Visualization makes sure that the coming attractions are of your choosing! You can read more about the Benefits of Visualizing, or get some advanced tips in the article Secrets of Creative Visualization. For this short & practical guide to Creative Visualization, I'll quickly introduce you to three of the major schools of thought regarding Visualization. At a simple level, Visualization is effectively "Mental Rehearsal". 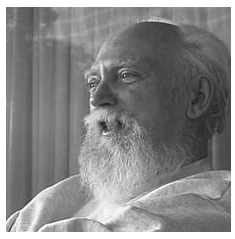 This means that you practice something in your mind, rather than phsyically. Did you know that by imagining tasks you want to do in the future, you can actually increase your skill-level... all with the power of your mind? There have been a number of scientific studies which prove that mental rehearsal improves physical skill, including shooting basketball free-throws, improving your golf swing and increasing exam scores. When you Visualize becoming a better salesperson, or asking for a payrise (or anything else! ), you will improve your levels of skill in a safe environment. There is also an argument that your subconscious mind cannot tell the difference between a "real" memory, and a "vividly imagined visualization". 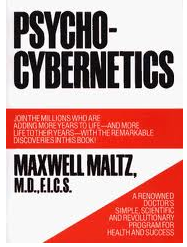 This argument was first made by Dr Maxwell Maltz in the brilliant book Psycho Cybernetics. Basically, the more you visualize, the more your subconscious mind believes that this is "really happening". As such, you inevitably begin to change, at the level of self-image and belief. and, without trying, you will start to change your behaviour accordingly! You'll know when your subconscious is helping you out - because you'll keep getting new ideas, you'll feel focussed, and you'll be on the look-out for anything or anyone who can help you to reach your goals. This is otherwise known as making use of your brain's RAS - or Reticular Activating System. "What the thinker thinks, the prover proves". So whatever the thinker (conscious mind) thinks, the prover (subconscious mind) will prove: by using all of its powerful resources to make the conscious demands a reality. Whatever it is you choose to think regularly, your subconscious mind will work for you to make it happen... and that's why life tends to pan out as we expect it to. Our deepest beliefs really can impact our reality. That's why it's so important to imagine what we want, and not what we don't want! There's even a quantum physics argument for Visualization, which says that by thinking thoughts of a certain nature when visualizing, you are more likely to "attract" this experience energetically. But this lays outside the scope of this Practical Guide to Creative Visualization! The best way to start a Creative Visualization practice is to spend a few minutes before you go to sleep, or just after you awake, imagining - in as much detail as you can muster - what you want in your life. The secret key to Visualization success is to generate the same positive emotions you would experience if your dreams had already been accomplished! The more positive emotions you feel, the quicker you'll influence your subconscious mind... and that's when you start seeing results! VERY IMPORTANT: Get Into Alpha Brainwaves! Visualization is much more effective when your brain is producing Alpha Waves, because you have much better access to your subconscious mind, as well as your emotions. Alpha is the state of mind you are in when you take a nap or a snooze. Above: This is what your brain activity looks like in Alpha - a lot slower than normal! The easiest way to get into Alpha - and to really feel strong emotions - is to use the Creative Visualization MP3. This MP3 uses "Isochronic Tones" - a powerful form of brainwave entrainment - to naturally and gently take you into Alpha. This allows you to create vivid, compelling Visualizations. If you've ever struggled to Visualize before, give this a go. You'll be amazed at the relaxed, peaceful state the MP3 takes you into, and you'll start to experience the benefits of Visualization immediately. Ready to Try Creative Visualization? If you're ready to start visualizing now, you can also check out my Beginner's Guide To Creative Visualization, which gives you a simple Visualization exercise to practice. Otherwise, sign up & receive your Free Visualization Starter Kit, consisting of an eBook, TWO brainwave entrainment MP3s, and my Visualization Cheat Sheet! This article should have given you a really good grounding in Visualization. I hope you enjoyed learning about this wonderful tool! Visualization helps you reach your goals quicker. Plus, it changes you profoundly for the better. You'll feel more optimistic, relaxed and happy. Read more about the benefits - and how to get the best possible results - with Secrets of Creative Visualization. Visualization can be explained in terms of mental rehearsal, subconscious influence, or even quantum physics! Whatever the reason, it works!! Visualization works best in the Alpha State. To get there quicker, use the Creative Visualization MP3. I hope you enjoyed the practical guide to creative visualization. This practical guide to creative visualization should give you all the info you need to get visualizing tonight! If you're finished with this practical guide to creative visualization, why not learn how to visualize now, with this Creative Visualization Technique.